Size: 57" x 30" x 36"
Color: yellow, as per requirements. We are the leading manufacturers of Kids Play Rider. 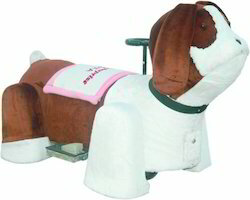 Battery Operated Animal Ride - Made up fo ISI heavy steel Fabrication - With Fiber Body - Covered up the Different Characters Soft Fur Cloth. 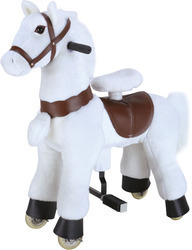 Description : We develop precisely designed Camel Rider Toy for Kidsr Toy for Kids that is installed for small kids to ride fibre made animals. These are constructed from supreme material that has strong base and higher weight bearing capacity. The camel is painted from anti- corrosive paints.